An online platform for learning, exchange and "next practices for arts leaders" designed to activate and popularize innovation practices. Why did we create ArtsFwd.org? We believe that dialogue about innovation and adaptive change needs to move from the margins of our field to the center of conversation. We believe that doing so will strategically disrupt the "business-as-usual" approaches that keep our organizations, communities and leaders mired, and will support our sector with the tools, resources and strategies it needs to be resilient and vibrant. 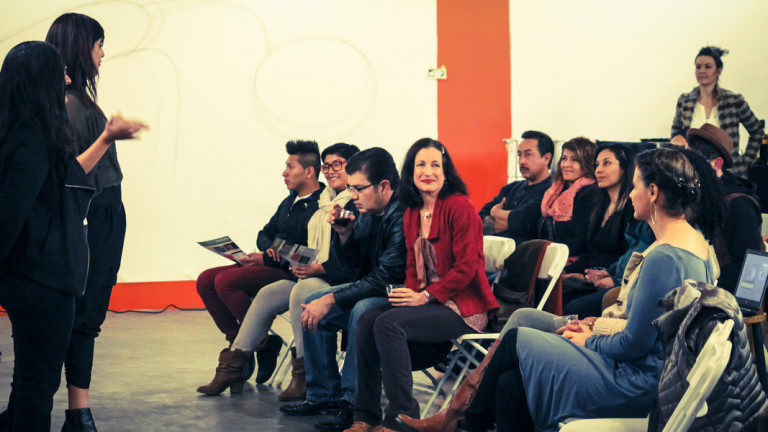 In order to facilitate increased learning about innovation, EmcArts launched ArtsFwd in 2011. ArtsFwd extends field dialogue about new organizational practices to an international community of practitioners and leaders. It does this through summits and convenings and a wide range of multimedia content, including op-eds, interviews, videos, podcasts, case studies, toolkits, stories, contests and polls, and more. ArtsFwd is an online community of arts and culture leaders committed to doing things differently in their organizations in order to stay relevant and vital in a changing world. Visit ArtsFwd.org. To learn more, contact our Program Coordinator, Ainsley Quizon, at aquizon@emcarts.org. 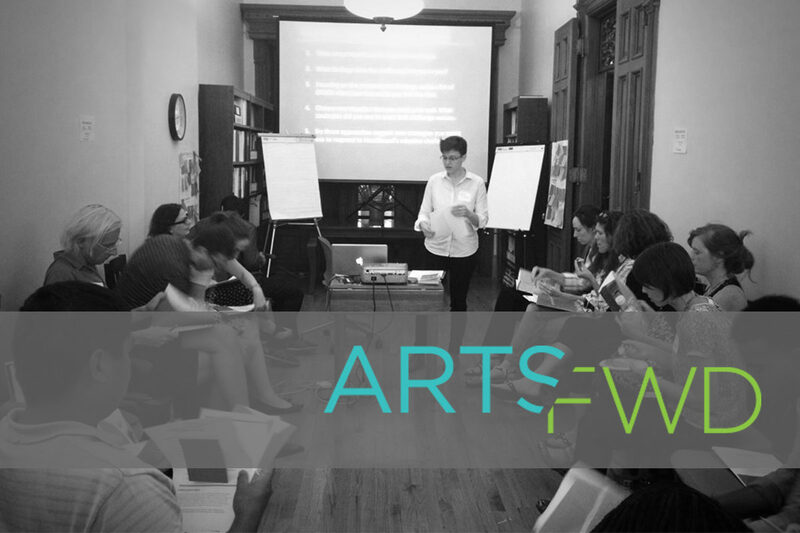 ArtsFwd is our online platform for "next practices for arts leaders." We resource ArtsFwd's readership and community by sharing stories, providing tools, and fostering dialogue that celebrates the challenges, discoveries, and achievements of those who boldly experiment in pursuit of truly adaptive strategies. It is now a widely-read, centralized hub for innovation in the arts sector and serves a field-building function by equipping and resourcing leaders. We recognize that greater adaptability in the arts and culture field will not be catalyzed by any centralized force, but rather by a growing critical mass of local, intrepid leaders who will call for actionable change in their organizations. Our goal is to use stories and multimedia content to resource our field and to accelerate a movement to popularize adaptive change as a core organizational discipline. 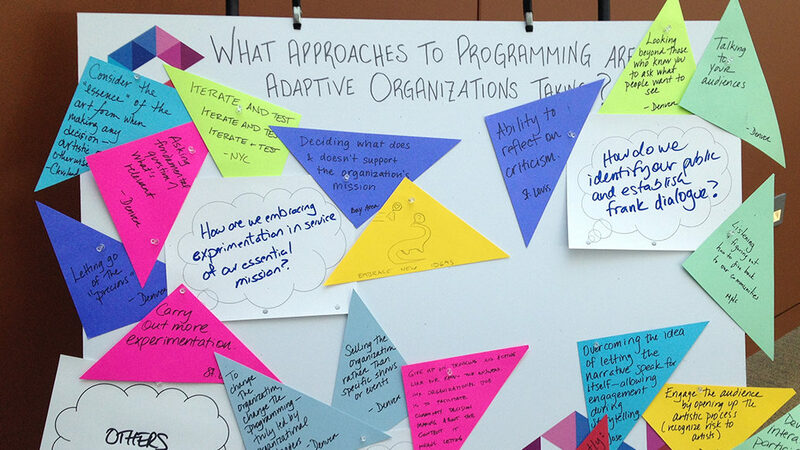 At our National Summit in Denver, participants identified adaptive strategies. ArtsFwd features resources, strategies and tools for a broad audience. Through our Innovation Stories, we provide in-depth storytelling about arts practitioners who undertake ambitious, messy, and mission-driven innovation projects. Through our Working Open documentation initiative, we capture the learning journeys of our Innovation Labs for the Arts program participants, so that readers can learn from their ongoing challenges, experiments, learning and breakthroughs in real-time. We feature podcasts, op-eds, tools, interviews and more on ArtsFwd. We also aggregate stories by disciplines (such as dance, theater, music, museums, education) and topics (such as creative placemaking, artists as change agents, organizational culture, and more). Read this Op-Ed describing NALAC’s prototypes of "regional pods" in our Innovation Labs for Arts Development Agencies. A report looking back at two years of ArtsFwd: what we’ve done, who has participated, and what we’ve learned. Our ArtsFwd Working Open Fellowship captures the productive messiness of organizational innovation in real time. Watch this featured video by Working Open Fellow, Monica Valenzuela from Staten Island Arts (SIA), where she shares her abstract film featuring archival footage layered on top of video documentation from current programs. Her film speaks to dynamics of history and place in the Staten Island Ferry Terminal, SIA’s new home. Her post elaborates on their experiments with arts programming and flexible, sliding-scale ticketing mechanisms.